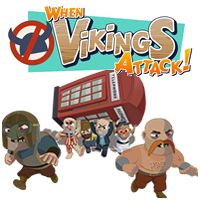 When Vikings Attack is a quaint little cell-shaded game that puts you in charge of villagers to protect the streets, farmland, and night clubs of 1970s England. The cross-platform game is available on the PS Vita and PS3, supporting both cross-buy and cross-play, puts you in command of rioting villagers to remove the invading Vikings by any means necessary. LittleBigPlanet is now a well known franchise on the PlayStation, ever since the title was first released on the PS3 back in 2008. 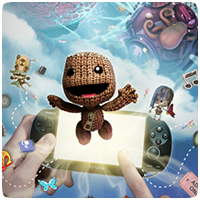 Since then, we’ve seen LittleBigPlanet 2, LittleBigPlanet on the PSP and now the latest LittleBigPlanet for the PS Vita. Developed by Tarsier Studios and Double 11, the PS Vita version stays true to the franchise and is one of the must-have games for the PS Vita. The YouTube App was released on the PS Vita last week, making millions of video clips available from the video sharing site. YouTube compatibility on the PS Vita was something that was lacking on the PS Vita since launch, especially since the device doesn’t support Adobe Flash. Here are our impressions of the app in its current state, and what can be improved. Treasures of Montezuma Blitz (ToMBlitz for short) is a free-to-play game on the PlayStation Vita that was released on March 21st 2012 on the PlayStation Store. ToMBlitz is a puzzle game that utilizes some of the hardware features of the Vita console, including the touch screen and rear touch pad. There is no doubt that the PlayStation Vita is an amazing device. The OLED screen is beautiful and the structure of the device is comfortable to hold, yet light considering the size of the device. We’ve been playing around with the PS Vita for a few days now and found some particular things that annoy us, but equally, things that we love. Here’s our opinion of all the good and bad points about the PS Vita.